I picked up the latest set of Custom Kreons: Galvatron, Crosshairs, Hound, and Bumblebee. Together with the first wave I already have, Optimus, Ratchet, Drift, and Lockdown, it’s a fun representation of the major characters. I’ve decided to just bash all their weapon parts together and see what happens. 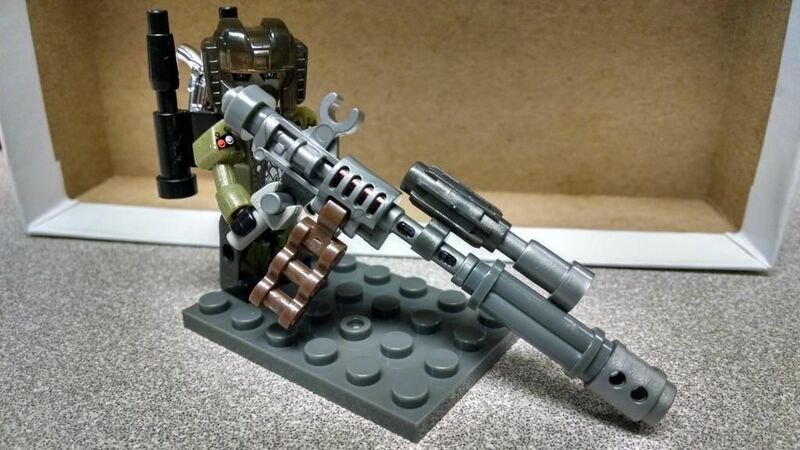 There are several small weapons among all their parts, and those I’ve mostly left alone and with the figure they came with. 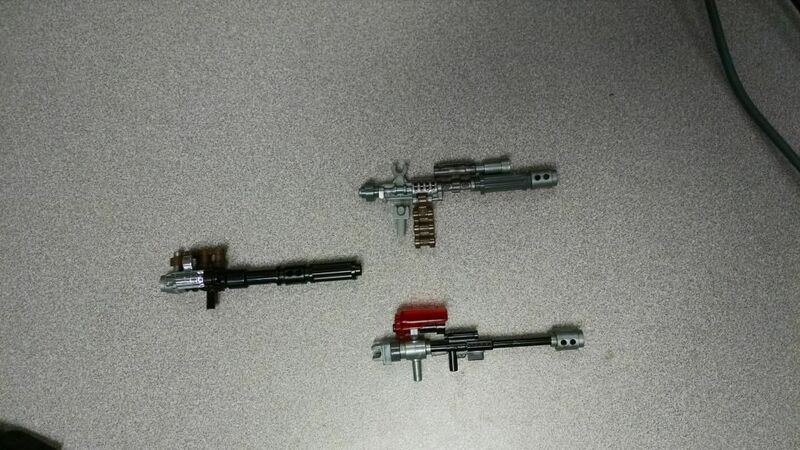 For example, Crosshairs comes with a really nice pair of matching chrome blasters, and he can store them holster-like by plugging the end of the grip into his leg holes. Drift, of course, is keeping all the samurai-style weapons he came with. 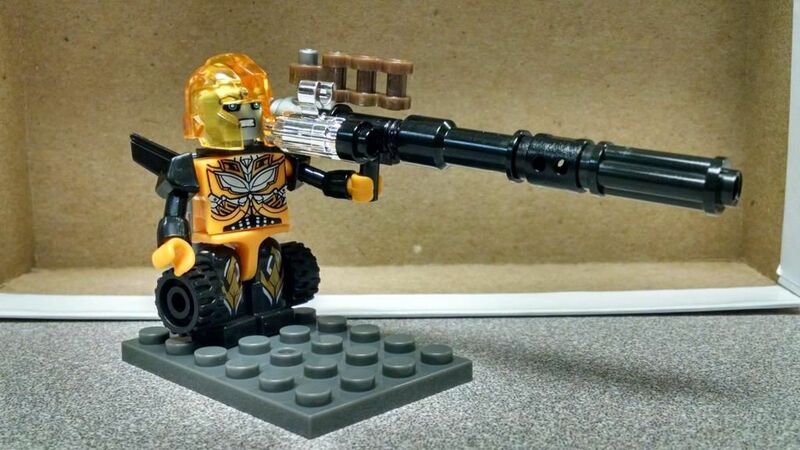 Bee is using a pair of black back wings (not screen accurate, but whatever) to hold the double-barreled gun he came with. Hound has a pair of backpack smoke stacks that hold a nice chrome pistol. The figures can’t hold these without falling forward (the sign of a truly cool gun), so they get plugged into a base for posing. 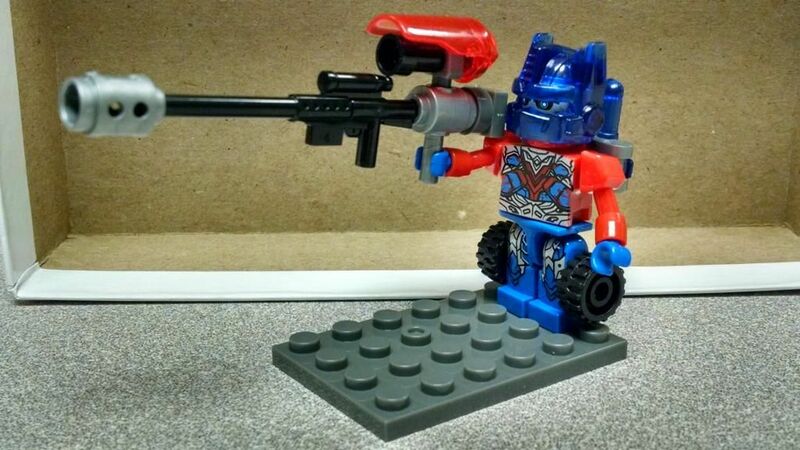 Let’s see your cool Kreon weapon designs. 5,505 pages were recently viewed by 708 unique visitors. This page was viewed 1 times on Tuesday, April 23rd 2019 7:03am CDT. © 2019 Seibertron, Inc. DBA Seibertron.com. All Rights Reserved. Established June 2000. Seibertron.com is owned by Ryan Yzquierdo.